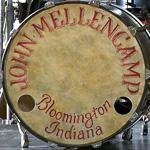 John Mellencamp Community > MELLENCAMP DISCUSSION > No Better Than This Tour Talk > Los Angeles, CA > Going to Los Angeles? Re: Going to Los Angeles? We're in Orch AA pre-sale very smooth, face value for that section reasonable in comparison to artists of Mellencamp's stature. So a couple hundred bucks-these days that's approximately what we'd pay to see a broadway show, and after seeing Mellencamp open for Dylan in Ontario, California, we are eagerly anticipating a more full featured performance. I love the idea of the pre-concert film...very nostalgic, and the three set concept-bliss. Been a fan since the early 80's and love the music that he doing these days. It's not about how you start it's about how you finish as an artist. Johnny Cash finished strong my friends. Can the show be moved up a bit closer to the present? April is so far away! I am in the Pit row 1. Looking forward to the show. I saw the tours 2nd night stop in Bloomington and this show has something for everyone, new ones, old ones, acoustic ones, hard rocking ones, etc. I wonder what changes to the show or set list John will make on this leg.